A film about bonefish not showing bonefish only. 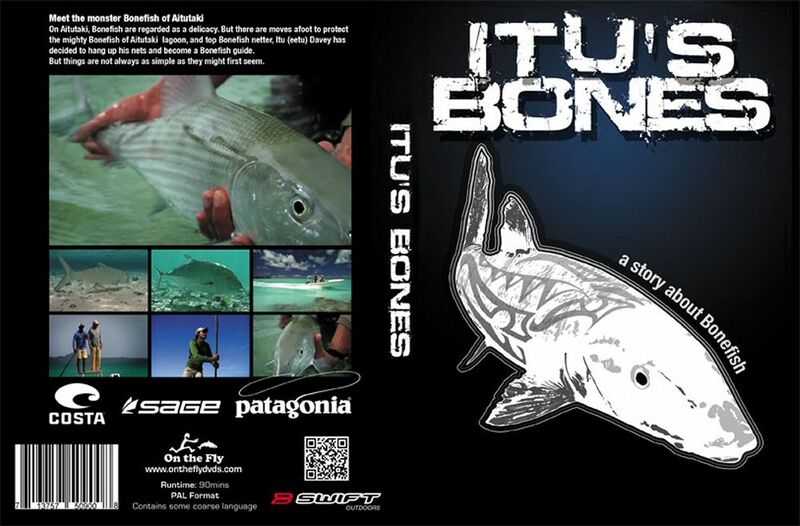 And this makes Itu's Bones really interesting, it is different from common fish-porns. The film tells the story of expert bonefish netter Itu Davey as he makes the journey from subsistence gill-netter to pro fly fishing guide. Not only has the film made a positive impact in helping protect a species and establish fishing reserves, but it shows just how much one man can achieve when he puts his mind to it. From selling five bonefish for 20 dollars, Itu now runs a successful catch and release guiding business with his two brothers, Tia and Rua. This year they have advance bookings of more than 100 days. As a result of initiatives by the Cook Islands Government and Ministry of Fisheries, over 700 hectares of Aitutaki lagoon have gone into reserves and protected areas to enhance habitat and protect the species. The Ministry and people of the small Island of Aitutaki have shown the foresight and fortitude to make decisions that very few larger corporations have had the courage to make. They have set a shining example of what can be achieved in establishing a sustainable recreational sports fishery.